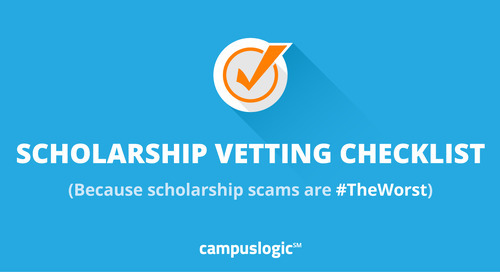 Home » Scholarships » Happy National Scholarship Month! November is National Scholarship Month, a time to celebrate all that scholarship professionals do to help students get to—and through—college. Throughout November, we’ll be sharing scholarship resources and content on our blog, and will be retweeting and sharing content across our social feeds as well. 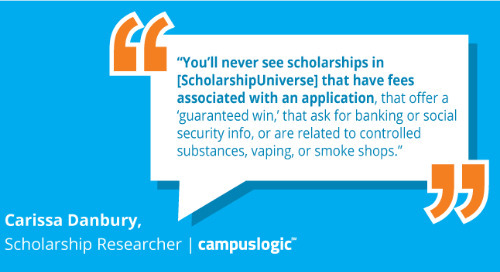 Search for #NationalScholarshipMonth to find great content across the Twittersphere! National Scholarship Month is sponsored by the National Scholarship Providers Association’s (NSPA). Dedicated to supporting the needs of professionals administering scholarships in post-secondary institutions, private and community foundations, public charities, and corporate and government programs, the NSPA has more than 400 organizations—and we’re proud to be one. NSPA members provide more than 350,000 scholarships, amounting to more than $1 billion every year. The NSPA also counts more than 850 scholarship professionals in its membership network. As anyone who attended the NSPA annual conference in early October knows, the power of one person to change the world is immense. At the conference, keynote speaker John O’Leary presented, “The Power of One—How One Attitude, One Action, and One Scholarship Provider Can Change the World.” In his talk, O’Leary tours the world and shares his personal story of thriving through adversity and celebrating the heroes who helped him—from a dedicated Hall of Fame sports announcer to a visionary burn unit nurse and many more. O’Leary teaches people how to #LiveInspired. His powerful words reminded all NSPA attendees—more than 500 scholarship providers, financial aid professionals and every hybrid of job title in between—that their work certainly does not go unnoticed. 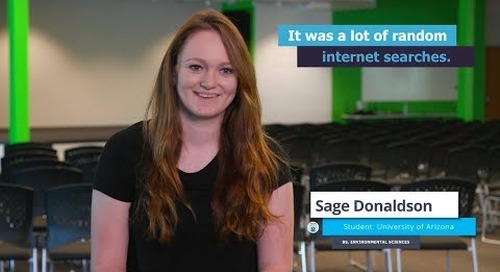 Driven by our purpose to, “help schools change lives,” CampusLogic works to streamline complicated student financial services processes that don’t meet students’ digital, mobile demands. More than 3 million students drop out of higher education each year due to financial constraints. One of the top reasons they leave: Poor organization of scholarships. 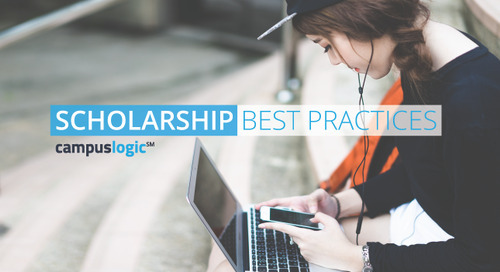 Last year, we partnered with The University of Arizona (UA) to commercialize a scholarship management solution originally built to streamline manual, disjointed review and awarding processes. 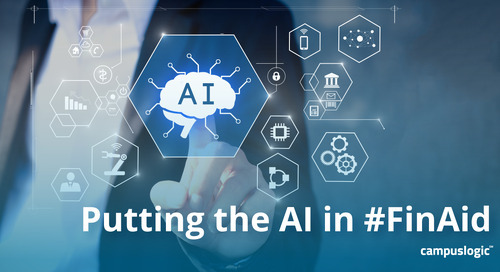 UA named it ScholarshipUniverseSM because the technology consolidates all scholarship information—institutional and vetted external scholarships—in one place. We love its proven focus on student engagement, and launched ScholarshipUniverse 2.0 at the NSPA. 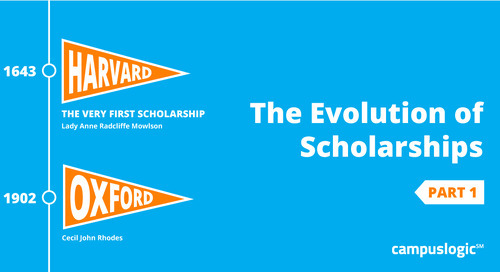 You can read more about the vision behind and the evolution of ScholarshipUniverse here. This year, TheDream.US and Bellevue University were named winners of the Scholarship Provider of the Year Award. 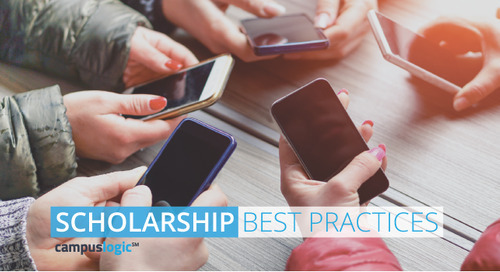 Recognizing outstanding scholarship practices in two categories—Independent Scholarship Providers and Colleges & Universities—the award is selected by a committee of peers. Read more about these two amazing organizations here.